I just recently upgraded my iPhone to an iPhone 6s and thought I would post a few pictures taken with its camera. Overall these are great photos. Below you will find a few shots taken from a walk around the neighborhood and then processed in Lightroom. The camera is basically a “point and shoot” type. You can zoom from the screen and select screen size: square or panorama. Neat additional features are video, slow-motion, time lapse and geo-tagging. Also the camera has exposure control and image stabilization. On the downside, there are no lens selections and exposure control is limited. Also, the only file format is jpg, no RAW mode. Internal HDR is also a feature. 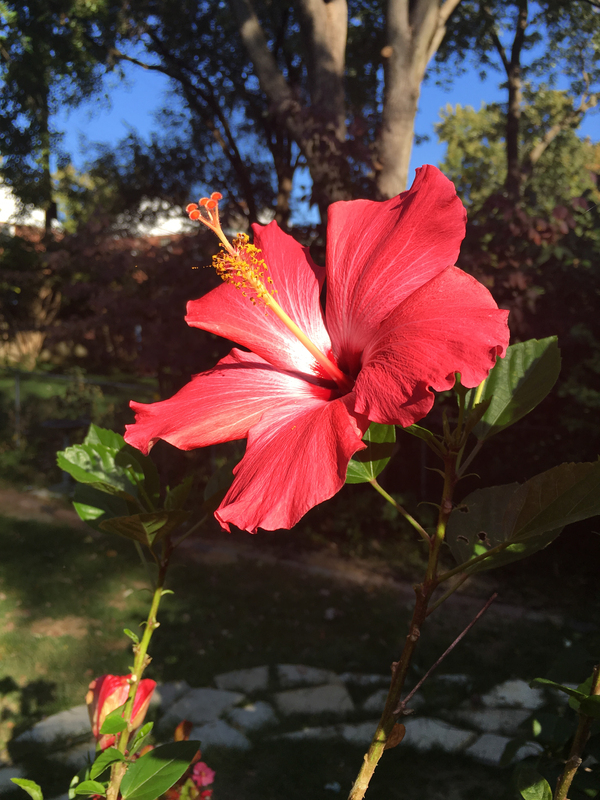 Above is a hibiscus flower from my backyard. Note the detail and great color. 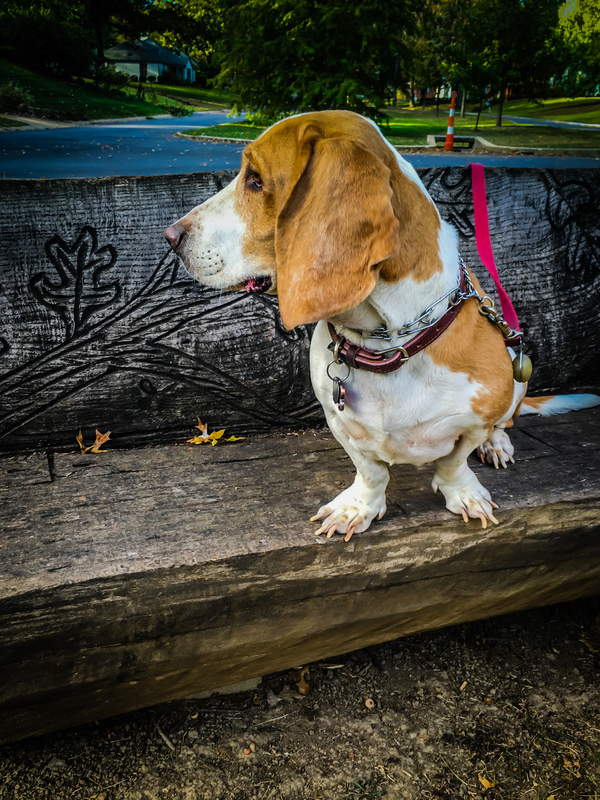 Here is is our Basset Hound Dixie. Since dogs are always moving, they are difficult to photograph. This camera does a good job of keeping them in focus. This is a birdhouse in the front yard, here you can see close up detail and the soft background. 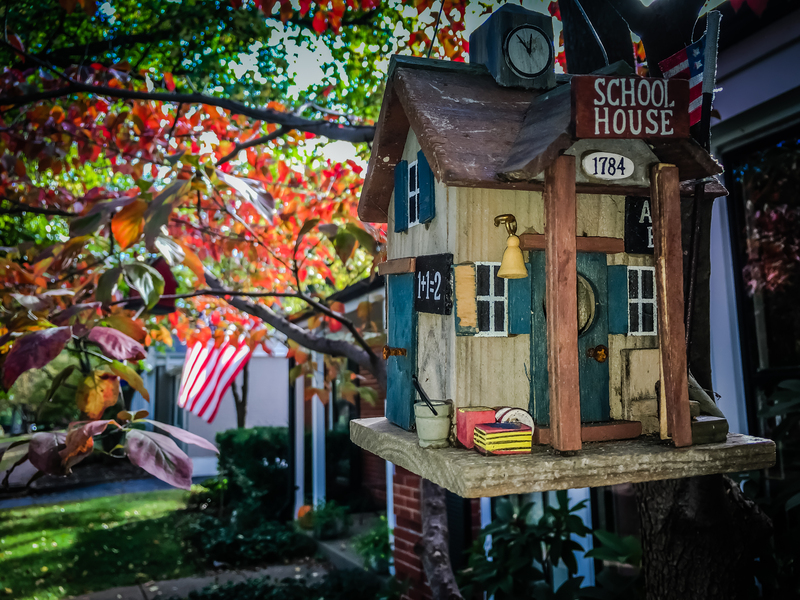 The soft background highlights the birdhouse and can be generated by getting close to your subject. 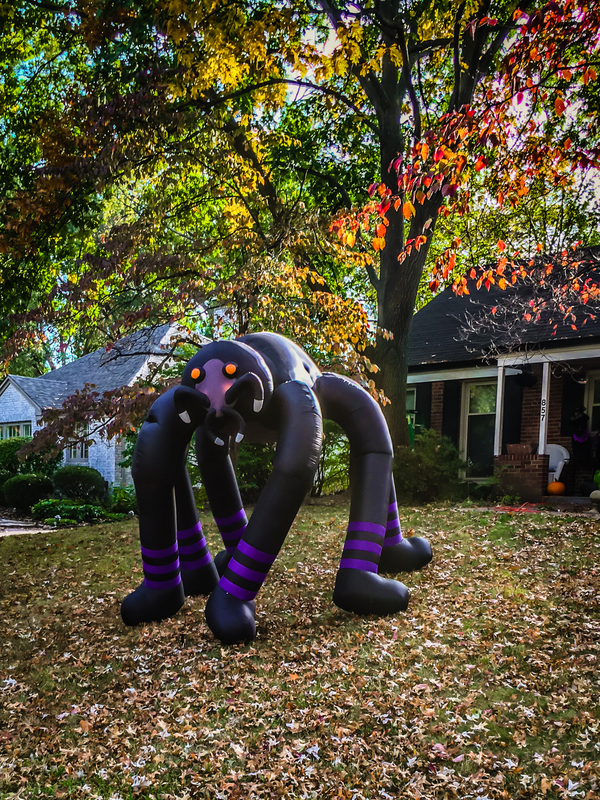 A neighbor’s Halloween creature is in focus in the foreground and background. 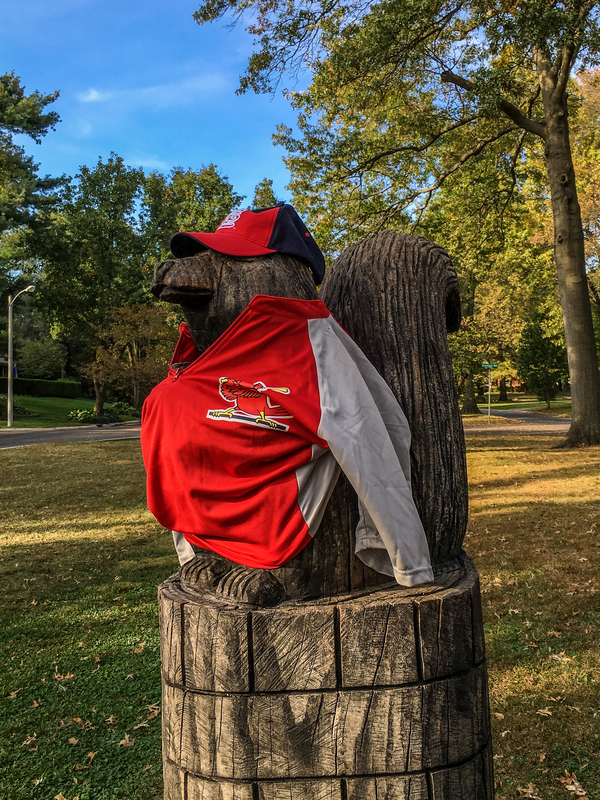 St. Louis Cardninal’s Rally Squirrel is found along our walk. Nothing more to be said here. Overall this camera gives nice resolution, detail and color. However, some post processing will be required (available in Apple’s Photo App).